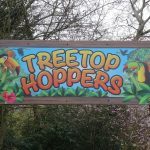 The Penguins have moved out and Treetop Hoppers remains in Africa. 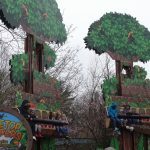 Keeping all mini thrills this is a fantastic ride for the smaller thrill seekers bouncing up and down giving the little ones a lift of the ground. 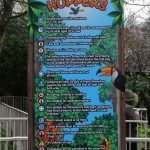 Strapped in by a bar across the front, you are raised about 20 foot before gentle bouncing back down only to repeat the process again. 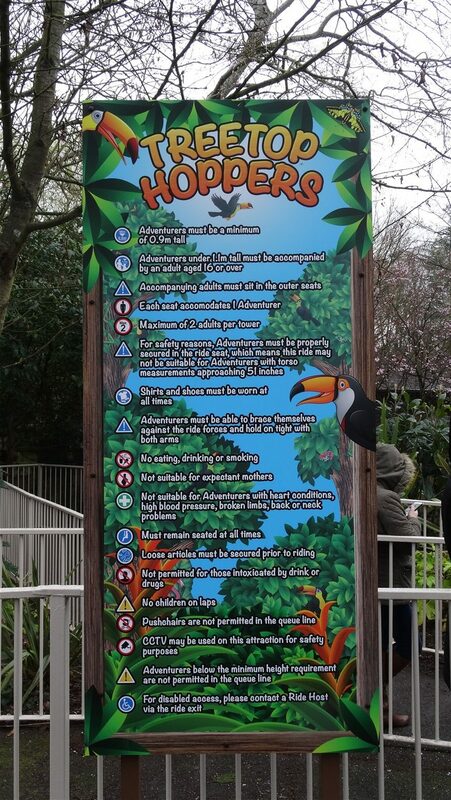 This is a gentle ride and is suitable for children and adults alike. 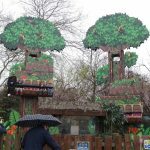 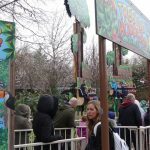 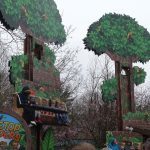 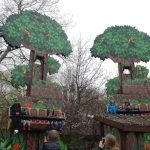 Originally opened in 2001, the ride used to be sponsored by Ribena, (hence the Berry part) however this was removed in 2007, in 2012 it was re-named and re-themed from Berry Bouncers into Jungle Bouncers. 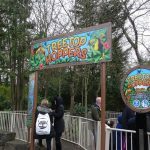 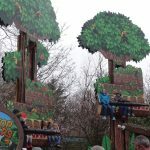 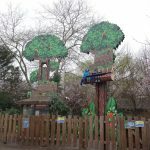 In 2015 the ride has had a complete make over to fit with the Year of the Penguins before 2017 sees it as just Treetop Hoppers.